Henry has lived and worked in Cornwall his entire life. 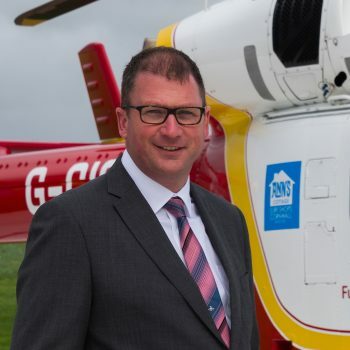 Managing Director of the third-generation family business, Henry Orchard & Sons Ltd, he was proud to join the board of trustees of Cornwall Air Ambulance. Former Business Leader of the Year, Henry has always supported Cornish charities both big and small, giving back to the community whenever he can. Henry has also won numerous other awards in business, crime prevention and environmental sustainability. Ian graduated from Royal Airforce College Cranwell with a degree in Aeronautical Engineering. After early tours of duty with the Royal Airforce Engineer branch he was appointed to be the Engineering Officer to the Royal Airforce Aerobatic team otherwise known as the Red Arrows. In 1976 he was promoted to Squadron Leader and after a period in the Ministry of Defense planning the introduction to service of the Hawk trainer aircraft he was appointed Senior Engineering Officer 41 Sqn responsible for the maintenance of its Jaguar Aircraft. Later promoted to Wing Commander, Ian was posted to RAF Germany to introduce the Tornado to RAF Bruggen. On return to the UK he was posted to the MOD to plan the support for the Eurofighter Aircraft. In 1992 he attended the Royal College of Defense studies and on promotion to Air Commodore he was appointed Director Support Management responsible for the logistic support for Harrier, Jaguar, Canberra, AWACS , Hercules Aircraft and all RAF aero engines. On promotion to Air Vice Marshal he was appointed Air Office Logistics and communication and information systems at head quarters strike command, responsible for the day to day sustainment of the Royal Airforces frontline capability. On retirement from the RAF in 2000 he joined Rolls Royce as director of e-Business Defense he helped the company introduce the concept of Support Partnership between the industry and the MOD. 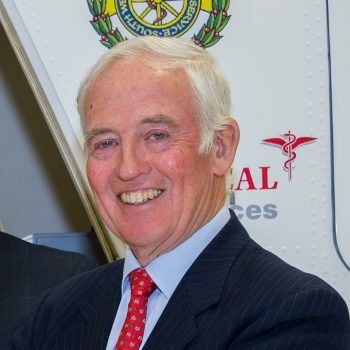 Ian is a fellow of the Institute of Mechanical Engineers and is a past chairman of the Institutes Aerospace Board and a member of council. Ian lives in Cornwall, is married to Sue, plays golf and enjoys gardening. Ian is tasked with collecting donations and delivering sold stock. As a driver he is often one of the first faces of Cornwall Air Ambulance the public will meet. He interacts with customers and donators’ within their homes, providing a service and information as well as an informal chat. 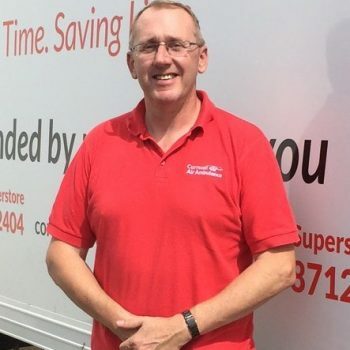 Ian was born in Hayle and has spent the majority of his working life in the armed forces, thoroughly enjoying serving his country. Cornwall Air Ambulance has given him the opportunity to serve the people of Cornwall and this is something he does wholeheartedly. 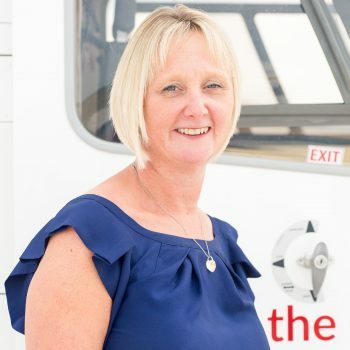 Originally from the Birmingham area, Jackie moved to Cornwall in 2015 and brought with her many years' experience of working as a personal assistant. 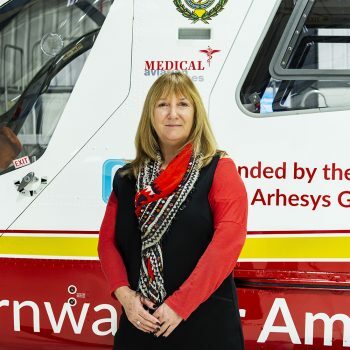 Following a two-year period working in retail, Jackie seized the opportunity to join Cornwall Air Ambulance, a charity that holds a special place in her heart. Jackie loves Cornwall's strong sense of community spirit and in her spare time sings in a rock choir with gusto. Jackie works hard on expanding the number of volunteers the charity has. 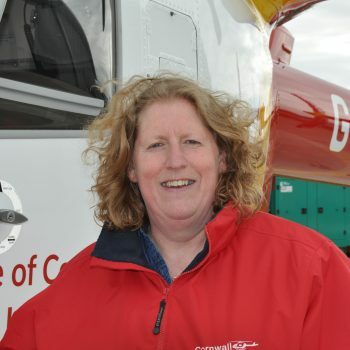 With her background in teaching, the charity is fortunate to have Jackie coordinating our relationship with the county’s schools and colleges, helping to motivate the fundraisers of the future. Outside work, Jackie is kept busy with her two children, ferrying them to various (usually drama-related) commitments. She loves Wicked! the musical and a glass or two of wine at her local book club. Jackie joined the fundraising team in February 2017. She embarked on a career in the charity sector 15 years ago, following management roles in the contract hire and leasing industry. Jackie has worked in senior fundraising roles for both local and national charities including Hearing Dogs for Deaf People, The Stoke Association, Cornwall Blind Association and Cornwall Wildlife Trust. Jackie is a member of the Institute of Fundraising and has recently completed her Diploma in Fundraising. Jackie moved to Cornwall from the home counties 11 years ago. During her spare time she enjoys walking her dogs and spending free weekends exploring Cornwall and the rest of the country. Jackie exercises her creative side by baking and decorating cakes which is her hobby. I am supporting the New Heli Appeal as I believe that a new generation helicopter will make an immeasurable difference to the lives of those who live in and visit our beautiful county. I am proud to do what I can to support a charity that anyone of us could need at any time, which offers such a vital service to our community. 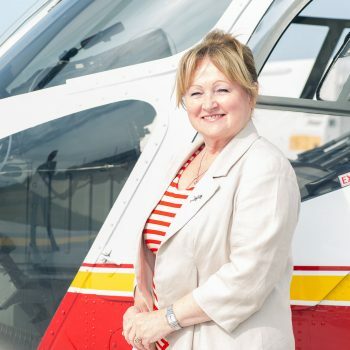 I know the pride I will feel when the new helicopter takes off on its maiden mission in April 2020, knowing that I helped made this possible; I urge you to join me and help to bring the new helicopter to Cornwall.